I’ve talked about the best $5 salad in Longmont, so it’s only appropriate to talk about the worst $12 salad in Longmont. 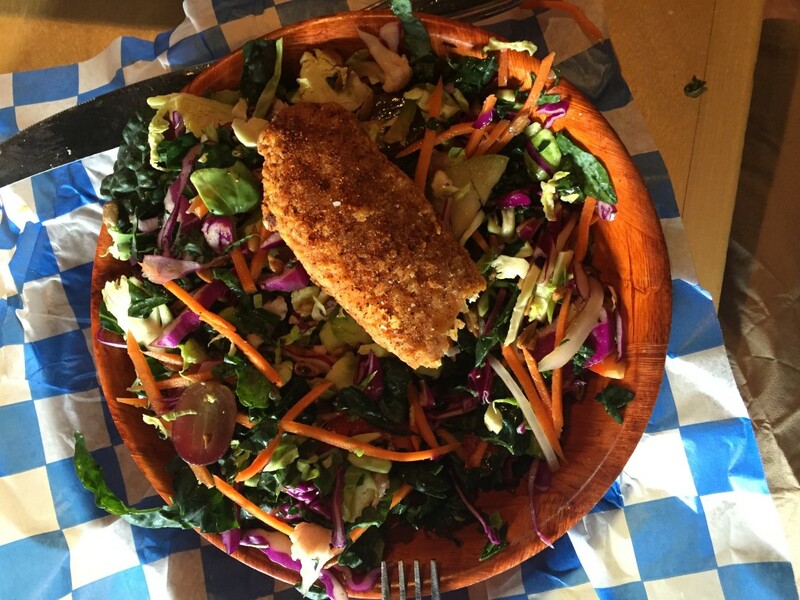 The winner of this prestigious award goes to, Good Bird’s Kale Salad. This salad was described as kale, brussel sprouts, pickled cauliflower, cabbage, sunflower seeds, apples, grapes and cider vinaigrette. But it should have been described as bitter, tart, salty, and gross. The dressing is super vinegary, lacks any depth and they drown the salad in it. To top it off they give you the option to spend an additional $2.50 for ONE mediocre chicken tender. The memory of eating this salad still gives me chills. They should really rethink the dressing and pickled cauliflower, both flavors fight each other and overpower the rest of the salad.